3 for $441.00 total Need more quantities? Enjoy the beauty of Monarch butterflies while joining efforts to help support them with our colorful Monarch Butterfly Garden. The garden includes 2 varieties of Milkweed, the essential (and only) food Monarch caterpillars eat, plus other favorite plants such as Liatris, Coneflower, Salvia, and Joe Pye Weed. These host and nectar-rich plants will help sustain Monarchs through all their life stages, and keep them—and other pollinators—coming all season long year after year. Our collection covers about 48 sq ft and includes a total of 15 plants. Quantity of each plant is shown in parentheses below. I’m a completely 100% inexperienced gardener. I’ve really never planted anything in my life. I did a terrible job planting these plants - some too deep, some too shallow. Despite my incompetence every single one of these plants grew, flowered, and attracted pollinators- lots of them. Bees, swallowtails, monarchs - you name it - they found my garden. When the time came I even got to witness the birth of twelve Monarch butterflies. 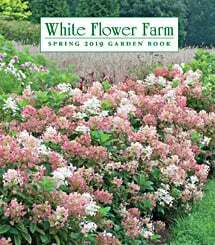 Thank you White Flower farms for this collection - it’s wonderful & I would HIGHLY recommend it to everyone! The plants came impressively well-packed. Each was in a 2.5x2.5 inch square seed-starting container, which at first struck me as excessively small, but after all this is a mail-order plant. All of them rapidly came up and seem vigorous and healthy, one month later. This isn't going to look anything like the picture for at least three years, so I'm rating this four stars. The plants are 5 star for their size but the picture is highly misleading and should say something like "picture of what these plants can achieve after 3-5 years of growth." Maybe two years if you are fortunate, but no way they'll look that dense in the first summer!